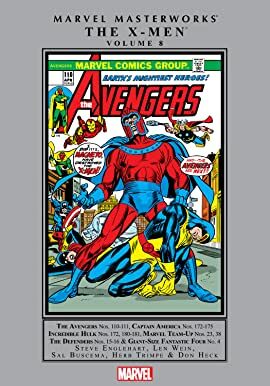 Collects Avengers (1963) #110-111, Incredible Hulk #172, 180 & 181, Captain America #172-175, Marvel Team-Up #23 & 38, Defenders #15-16 and Giant-Size Fantastic Four #4. The culmination of the Silver Age legacy of Marvel's mutant misfits, the X-Men! Closing the gap between the end of the X-Men's original series in 1970 and the debut of the All-New, All-Different team in 1975, the Marvel Masterworks present several X-Men tales that set the stage for Giant-Size X-Men #1! 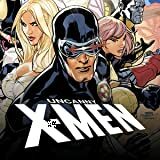 First up: Forced underground by anti-mutant hysteria run amok, the X-Men find themselves pursued by a secret adversary that seeks to pick them off one by one. And if being on the run wasn't tough enough, here comes Magneto! Only the combined might of the X-Men and the Avengers can prevent the Master of Magnetism from unleashing a nuclear holocaust. Then, with the X-Men's ranks dwindling, Professor X, Cyclops and Marvel Girl head West for reinforcements, but instead bump into the Incredible Hulk and the Juggernaut. (Ouch!) Next comes the culmination of the classic Secret Empire saga, where the X-Men find they share a common enemy with Captain America and join forces with the shield-slingin' Avenger to save the nation and rescue their mutant comrades. Then, on the eve of the X-Men's departure to face Krakoa the Living Island, Iceman and the Human Torch team-up to battle Equinox, the Thermo-Dynamic Man-and with his team missing, Professor X must enlist the Defenders to fight a resurgent Magneto and Alpha, the Ultimate Mutant! To top it all off, we've also included X-Man-to-be Wolverine's very first appearance! The ol' Canucklehead leaps from the top-secret Weapon X program and throws down in his first famous battle with the Incredible Hulk. It's the all-time classic that made comic book history! There's also the debut of Madrox the Multiple Man-Chris Claremont's first X-Man-and the Beast vs. the Griffin. This X-tra special Masterworks volume polishes off the library of every X-Fan's dreams-completing the original adventures of Marvel's most-famous super team!